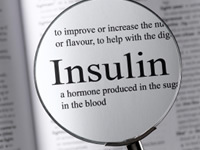 Insulin may be a key part of your treatment if you suffer from diabetes. Insulin enables your body to use glucose. Different types of insulin can act very differently in different people. Insulin regime suitable for individual patients are tailored by your diabetes care team. Type or dosage of insulin can be changed if required to meet the individual needs of the patient. Insulin can be packaged in vials (bottles), cartridges or prefilled pens. The vials are used with syringes, whereas the cartridges are used with pen injectors. Prefilled pens are disposable pen injectors, which contain insulin. Prefilled pens are useful for people with dexterity or visual problems. The table highlights the various insulin types, their manufacturers, the insulin source and how it's available. It also highlights insulin ranges that have been discontinued. * Denotes that the insulin range is discontinued. ** Mixtard 30 withdrawn on December 31, 2010. There are three main types of insulin, which are also available in various combinations in pre-mixed form, however there are many brand names. Rapid-acting analogue insulin can be injected 5 to 15 minutes before eating, when eating or immediately after eating. Read more about rapid acting insulin. Long-acting analogue insulin is a longer acting insulin form. Since this Insulin is more slowly absorbed and its effect last longer, up to 24 hrs in duration. It’s taken only once a day, in the evening. Read more about long acting insulin. Short–acting, or soluble insulin, works quickly to lower blood glucose and is usually taken 15 to 30 minutes before a meal to compensate for the rise in blood glucose that occurs after a meal. Read more about short acting insulin. Medium and long-acting insulin work maintain your blood glucose under control between meals over a period of several hours. Read more about intermediate acting insulin. Mixtures are combinations of both short and longer acting insulins in various proportions. Mixtures are taken normally 15 to 30 minutes before a meal to compensate for the rise in blood glucose that occurs after a meal. The longer acting proportion will continue to work in between meals. These insulins are usually cloudy in appearance. Please note that this information is for general use only. Question about insulin, diabetes or its care please consult your diabetes care team.